The Russian GDP forecast for 2015 was downgraded from plus 0.2 percent to a 4.8 percent decline by the European Bank for Reconstruction and Development. It’s due to falling oil prices and geopolitical tension that could mean a regional economic downturn. The EBRD has revised its September’s forecast saying the main reason for it was a plummet in oil prices. The last forecast was made with oil priced of $58 per barrel. “The halving of oil prices has added to the problems in Russia, whose economic growth was already slowing down amid uncertainty and weak investor confidence after the imposition of sanctions in 2014,” EBRD said in a report on Monday. The bank said a sharp drop in oil prices and the depreciation of the Russian ruble are putting pressure on energy exporting countries and emerging markets which have close ties with the Russian economy. The GDP in the region is expected to fall by 0.3 percent this year, while in September it was expected to increase by 1.7 percent. “The depreciation of the ruble has increased pressures on the currencies of economies with strong trade, investment and remittances ties to Russia, with the sharpest declines seen in Belarus, Turkmenistan and Armenia,” says the report. It predicts that economic growth in Armenia and Moldova in 2015 will be close to zero, and Belarus expects a decline in GDP of 1.5 percent. For energy-importing countries in Eastern Europe, South Caucasus and Central Asia the negative effects of lower export demand and remittances from Russia outweigh the benefits of lower oil prices, says the EBRD. “Energy exporters Kazakhstan, Azerbaijan and Turkmenistan have also been negatively affected by the lower prices” said the report. The EBRD has also downgraded the GDP of Ukraine and expects it to decline by 5 percent in 2015 compared to the September’s forecast of 2 percent. “The Ukrainian economy remains in a particularly precarious state, the report said. In addition to the impact of the conflict in the east of the country, there is currently uncertainty about the volume and timing of international financial assistance,” the report said. 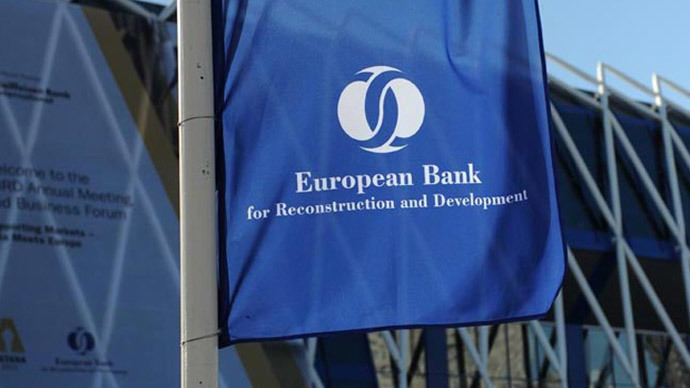 The European Bank for Reconstruction and Development was founded in 1991 to support 'market-oriented economies'. It operates in 36 countries in Europe, CIS and North Africa.